I recently deleted iPhone backup on iCloud which was occupying almost 4gb out of my 5gb basic iCloud storage. Since then when I check my iCloud account it shows that iBooks 3.8 data but only showing 1.1gb total on iCloud Drive. I’m using iPad to read iBooks and All my academic books are stored on iBooks. I’m really worried that Apple may delete my iBook books. This happens to me once. Is this a software issue or what? 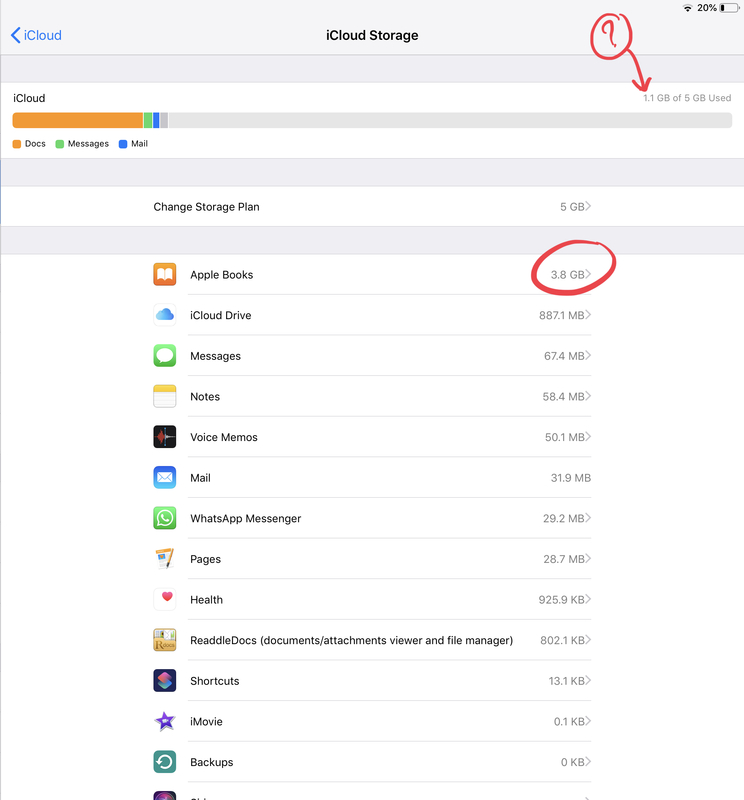 Note: also I noticed though I have enough space showing on the iCloud as shown in the image, my WhatsApp backup progress is stucked! Browse other questions tagged iphone ios icloud backup .